Another of the many fun memories I carry from my youth relates to the Saturday mornings I’d spend trawling round the city centre record shops with a small group of school mates. Checking out the record shops was exciting, of course, but for me, one of the high points of our trips would be a visit to the audio cassette shop. The shop, on Corporation Street in Birmingham, England, was a Sony Centre, and it stocked a large and very cool range of blank audio cassettes, at very reasonable prices. 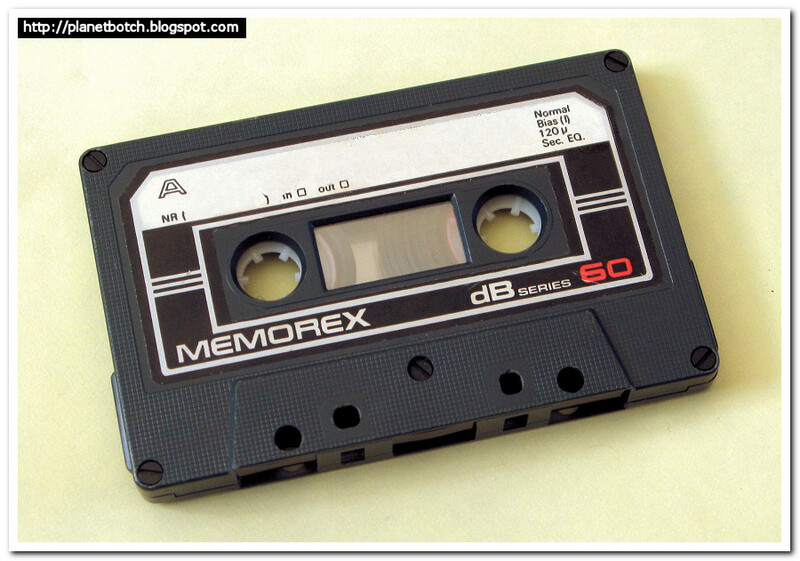 The better known high street outlets like Woolworths and WHSmith would of course sell blank tapes (there's a Woolworths own brand Ferric 90 tape pictured on THIS LINK). But you’d find much more esoteric and obscure artefacts at the Sony shop. The tapes weren't specifically Sony, by the way. They sold all sorts. I was just getting into home recording at the time, albeit in the most basic of ways. No multitracking – just me and two or three mates playing live onto a stereo cassette deck. But I’d rapidly found that the brand and type of audio tape I used had a marked effect on the overall sound of the recordings. The brand and type of tape genuinely could be the difference between people thinking we sounded promising, or people thinking we sounded like a bunch of no-hopers. On that basis, I found discovering and experimenting with new audio cassettes really exciting. With the first commercial compact disc release still a few months in the future, any kind of digital recording for amateur musicians (especially kids) was a very long way off. Tapes were the only option, and they all, for better or worse (frequently much worse), had some sort of effect on the sound of the music. Finding the perfect tape was the proverbial Holy Grail. Above: A great lineup of early ‘80s Sony cassettes. At the top, there’s a normal bias BHF90, and below that to the left, a CHF90 – also a normal bias Type 1 tape (there's an evocative image of this tape at Tape Tardis, in the Sony CHF90 post). Both of these cassettes are from 1981, and would have cost pence in their day – well under £1 each. Moving to the right, there’s a UCX 60 in its rather fetching purple. This cassette, from 1984, is a more expensive high bias chrome (CrO2) Type II. I didn’t rate these as highly as the BASF chromes. 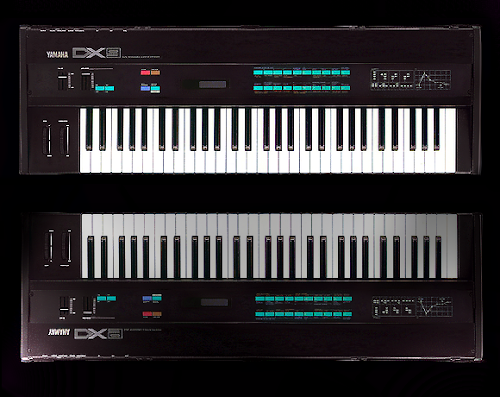 Finally, at the bottom, there’s a Sony Metallic 60, also from 1984. As is evident in the name, this was a Type IV metal tape. These were much more expensive than the chromes, let alone the normals. Metal tapes would accept higher signal levels without running into distortion, and this made for an improved signal to noise ratio. However, to me, the typical difference in fidelity between metal and chrome tapes, was not as pronounced as the difference between chrome and normal. 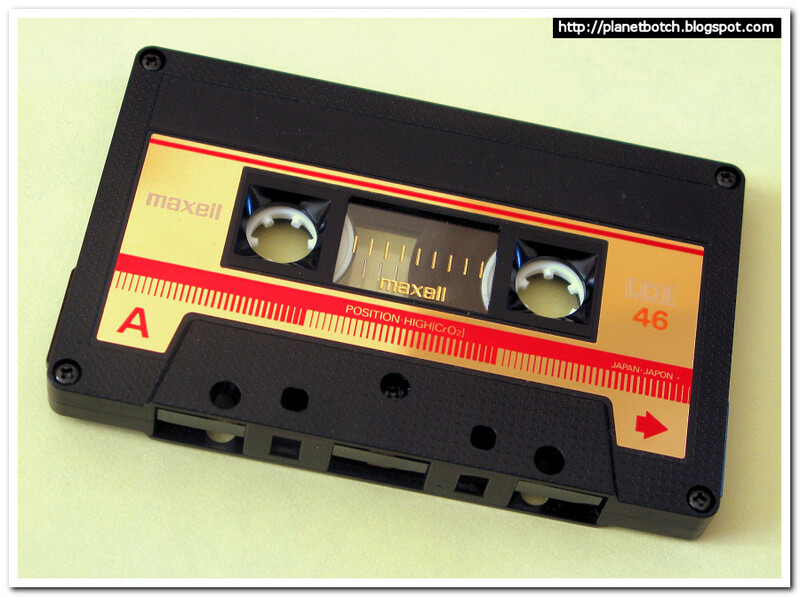 Normal tapes were often very seriously short on higher frequencies. By the early ‘80s there were four fundamental categories of blank audio cassette, running from Type 1 (or Type I), to Type 4 (or Type IV). Type 1 normal bias cassettes were the cheapest, using a standard ferric-oxide tape formulation, and exhibiting the dullest sound, along with what was normally a pretty poor signal to noise ratio – lots of hiss, basically. 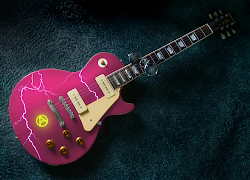 They typically struggled to reproduce high frequencies, although advanced processes used by manufacturers could improve the high frequency response to quite a degree – almost inevitably at extra cost. Indeed, in percentage terms, there could be a very significant difference in price between low-end normal tapes, and their high-end counterparts. Several brands offered a selection of different grades of Type 1 tape within their range – each hitting different price points. 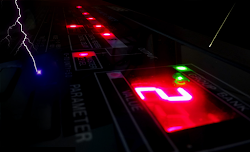 Normal tapes had an equalisation setting of 120 microseconds. Type 2 CrO2 cassettes had a high bias and a chrome tape formulation. They were seriously popular, because they captured a significantly higher quality of audio reproduction than normal tapes. This was not a case of “is there really any difference or am I imagining it?”, as is so often experienced in commercial markets. There was a clear and obvious improvement in fidelity in chrome tapes, as compared with the average normal. In consumer speak, chrome tapes would preserve much more ‘zing’, and they truly came into their own during the 1980s, when production trends and the rise of electronic pop music resulted in brighter, more sparkly records than those of the 1970s. 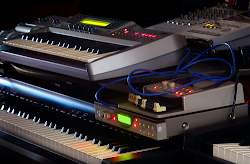 The zingy sounds of early to mid 1980s music revealed the deficiencies in normal tapes more than ever before, and prompted many a switch in favour of chrome. Also, cassette decks and hi-fi systems were themselves on an accelerated curve of improvement, which exaggerated the difference between chrome and normal tapes even more. As a general rule, Type 2 tapes would cost somewhere between 50% and 100% more than standard Type 1s, but in most cases their performance fully justified the extra outlay. 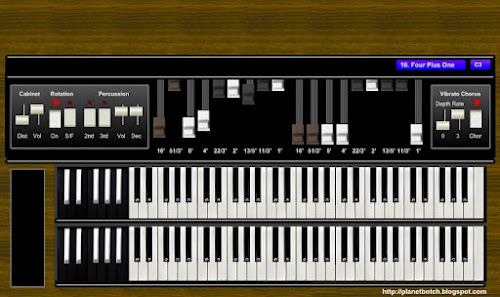 Chrome tapes had an EQ setting of 70 microseconds. Not all Type 2 tapes had chrome formulations (TDK memorably used Avilyn for their Type 2s), and particularly as time went on, genuine chrome died out to be replaced by so-called 'doped-ferric' mixes. Type 3 FeCr cassettes had a ferro-chrome or ferrichrome (depending on the semantics) combination tape formulation, and by the early ‘80s were by far the least common of the four types. The only ones I ever had were Sony FeCrs, which I found going slightly cheaper than the average chrome Type 2s some time around 1983. I quite liked Type 3s, and would happily have used them in place of chrome tapes, but they were really on their last legs by this time and were difficult to get hold of. In some circles there’s a consensus that Type 3s were ousted by Type 4 metal tapes, but I’d be more inclined to believe that they died out because they couldn’t really offer well defined advantages over the best Type 2 tapes, which had become much better established and well-trusted in the market. The bias of Type 3 cassettes was higher than that of normals, but lower than that of chromes – nearer to normal than chrome though. Their EQ was 70 microseconds. Type 4 metal cassettes had a metallic tape formulation, and were, once they’d begun to overcome their teething troubles, much celebrated by recording enthusiasts of the mid ‘80s. 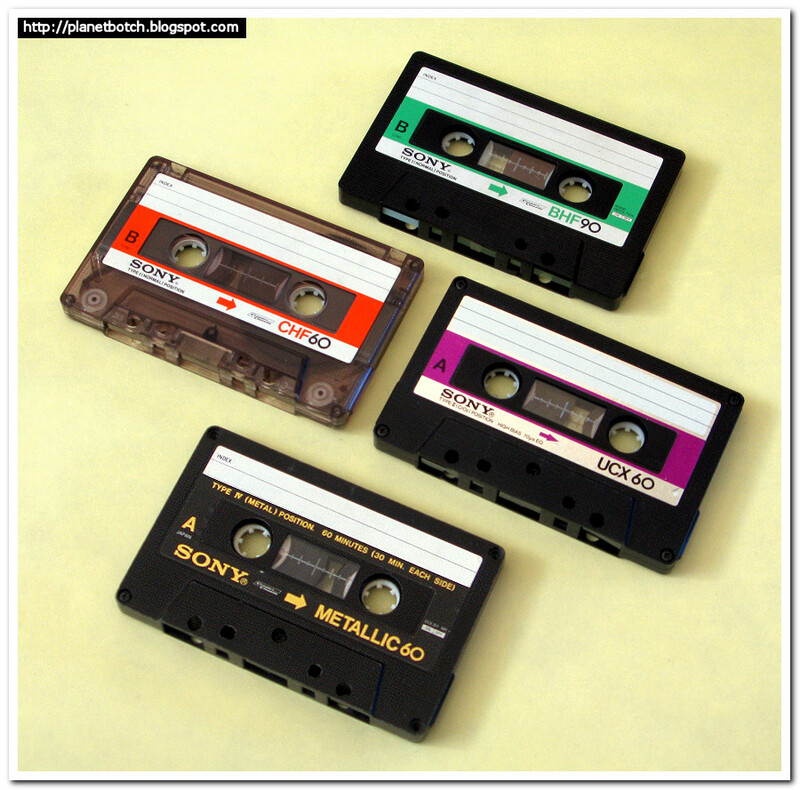 Metal tapes had an extra-high bias and the best reproduction characteristics of any audio cassette tape. But most young recording enthusiasts couldn’t buy them in any quantity because they were simply too expensive. Some shops didn’t even stock them because they knew they wouldn’t sell. Whilst increased wear on the record heads was a technical concern with Type 4 tapes, I think in the end, the mass market was put off buying them because they simply weren’t a significant enough improvement in audio quality over Type 2s to justify the huge difference in price. You might, for example, pay 79p for a normal tape, and £1.25 for a chrome, which was very noticeably better – even to the average consumer. But if the metal tape then cost £2.79, and offered an increase in fidelity over chrome which most ordinary consumers may not even detect, it would inevitably be hard to sell. Like Type 2s and 3s, metal tapes used the 70 microsecond EQ setting. 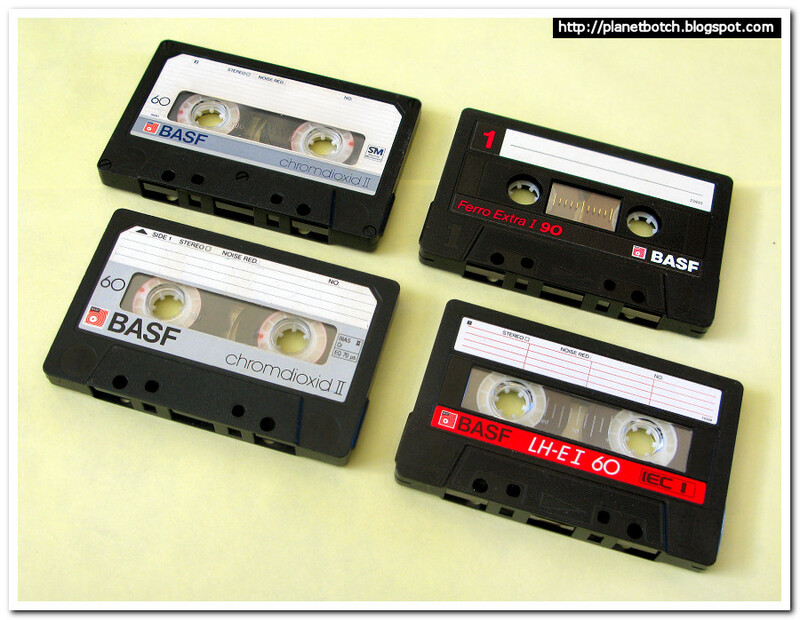 Above: BASF tapes. On the left, two vaiants of the Chromdioxid II (early ‘80s at the top, and mid ‘80s below). The Chromdioxid II was a high bias, Type 2 chrome (CrO2) tape. A bit more expensive than normal tapes, and very noticably better at recording high frequencies. On the right, two later normal bias BASF ferric tapes. At the top, a Ferro Extra I 90, and below that a LH-EI 60. It’s worth mentioning ‘Type 0’ tapes here too, since they do come up in conversation from time to time. I’ve used the inverted commas around the designation, because I’m not aware of it ever being officially labelled onto a product by a manufacturer. 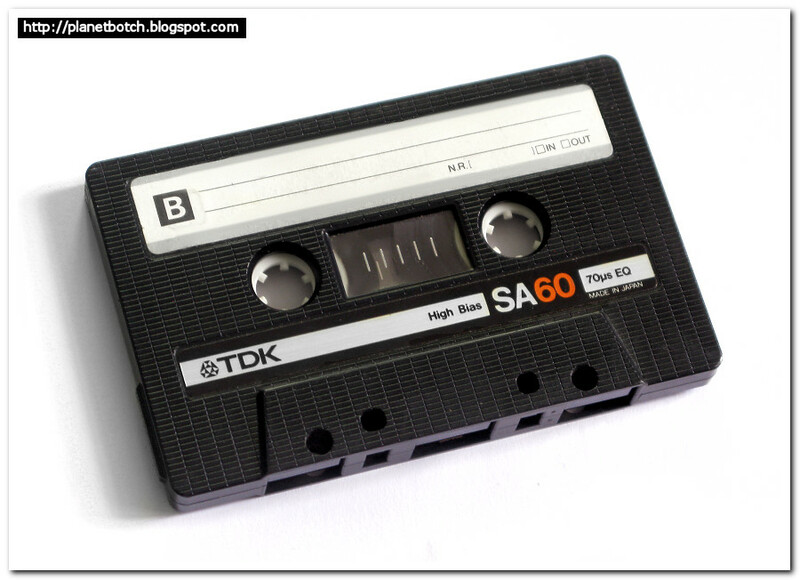 However, the term is sometimes used with reference to extremely basic normal tapes, which were essentially Type 1s, but with such poor performance characteristics and low optimum bias that they fell short of what would generally be considered the minimum standard. ‘Type 0’ would be interchangeable with terms such as ‘dictaphone quality’ or just plain ‘rubbish’. Above: A real blast from the past with these two archaic cassettes. Realistic was the ‘own-brand’ product sold in the UK’s Tandy shops. And Radio Shack (denoted in the logo on the cassette on the left) was a component of Tandy. This Realistic Low Noise special was just about as low-end as it got in my collection. On the right, I’ve added a late ‘70s (probably 1978) Dindy Super. Like the Realistic Low Noise, the Dindy is a base-level Type 1 cassette, and is pretty seriously devoid in the higher frequency range. Notice that the Realistic Low Noise tape has just a single check box for Noise Reduction, rather than individual selections for Dolby B Type or Dolby C Type. Dolby C Type noise reduction was not introduced until 1980. Above: And another beast of an oldie, in the form of this 1970s Scotch Dynarange C-120. 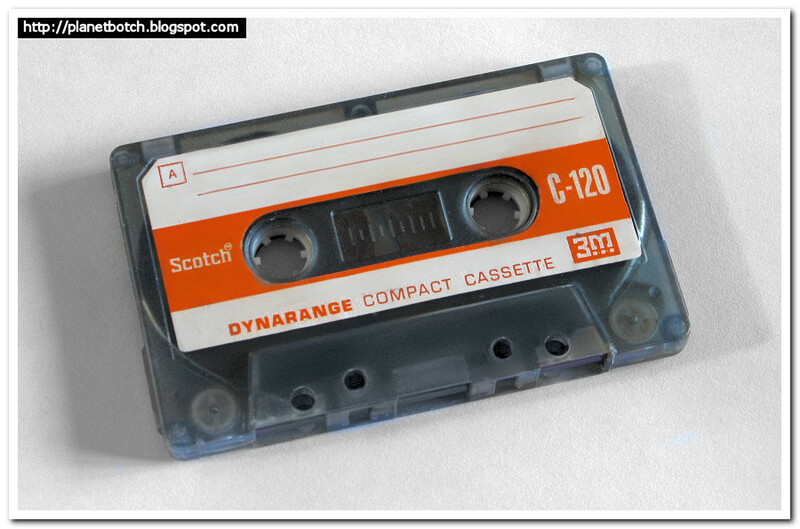 Scotch cassettes were the first brand I can remember my family buying as a kid in the ‘70s. They seemed to be a very well respected brand at that time. Indeed, this cassette was bought by my Mom at some point in the ‘70s. She died in 1994, so I’ve no way of trying to establish exactly what year she bought it – but it’s definitely one of the oldest cassettes I can find in presentable condition. C-120s ran for an hour each side. It was generally accepted that larger capacities meant poorer audio quality.